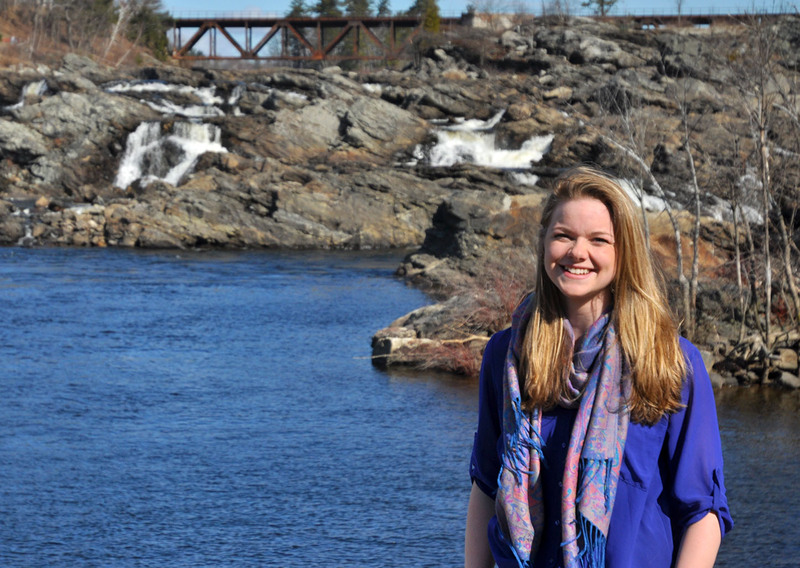 For her senior thesis in environmental studies, Taryn O’Connell ’13 investigated a debate about Androscoggin River pollution that took place in Lewiston in the 1950s. Photograph by Hank Schless ’13. All Bates students must complete a major piece of research and writing in their senior year, known as the W3. As an ES major, you have a number of W3 options. You may apply to do a one-semester thesis during either fall or winter term; a two-semester honors thesis; a two-semester non-honors thesis; or you may complete ENVR 450 (Environmental Writing in the Public Sphere), offered in the winter. Whichever option you choose, you will focus on a particular topic and do extensive, focused research using methodologies appropriate to your ES concentration. As a capstone project, your W3 is an extension and outgrowth of all your previous work and studies in ES. The W3, whether a thesis or writing undertaken in ENVR450, is often written on a topic chosen independently by the student. The ES Committee encourages students to think creatively about using their thesis as an extension of work already completed in ES. For example, a successful thesis might extend a project begun in ENVR 417, or it might be an outgrowth of the internship experience. The information on the pages linked below is designed to help you navigate this process. You should consult early with the ES Chair, your concentration Advisor, potential advisors within and outside of the ES program, and other relevant faculty and staff for information and assistance. Completing this final independent project is often as rewarding as it is challenging. To help you develop a successful W3 project we urge you to read these pages thoroughly.